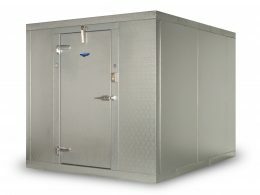 Walk in freezers are key to restaurants all across the United States. As owners, your goal is to keep your machines running propperly and effecinelty as long as possible. These 7 tips are important to understanding exactly what will help maintain your commercial walk-in freezers, helping to extend its life significantly. Just as you change the oil in your car, professional service companies can take care of this for you on a regular basis.